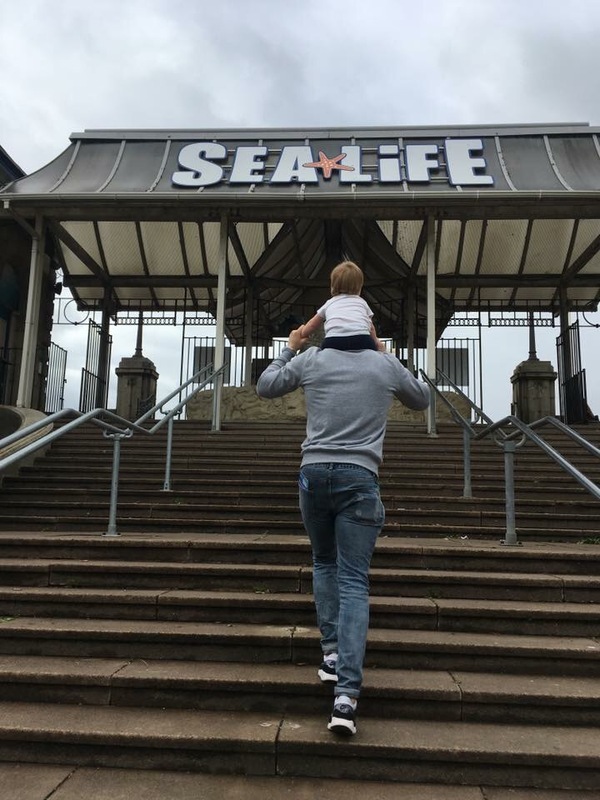 Toddler days out in Brighton – the sea life center – But First, Tea. She wants to walk and explore! So we do try and get out and about as much as possible. But, when it’s raining, there’s only so many times you can go to soft play. 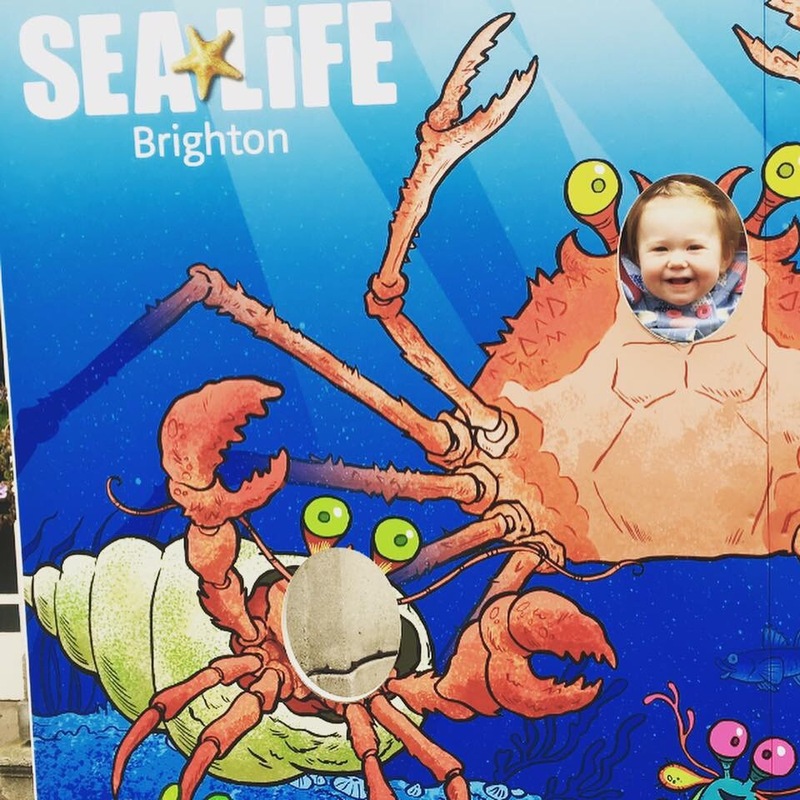 So, on the search for something different and toddler friendly, we plodded off to the Sealife Center in Brighton. It was such a lovely day out! 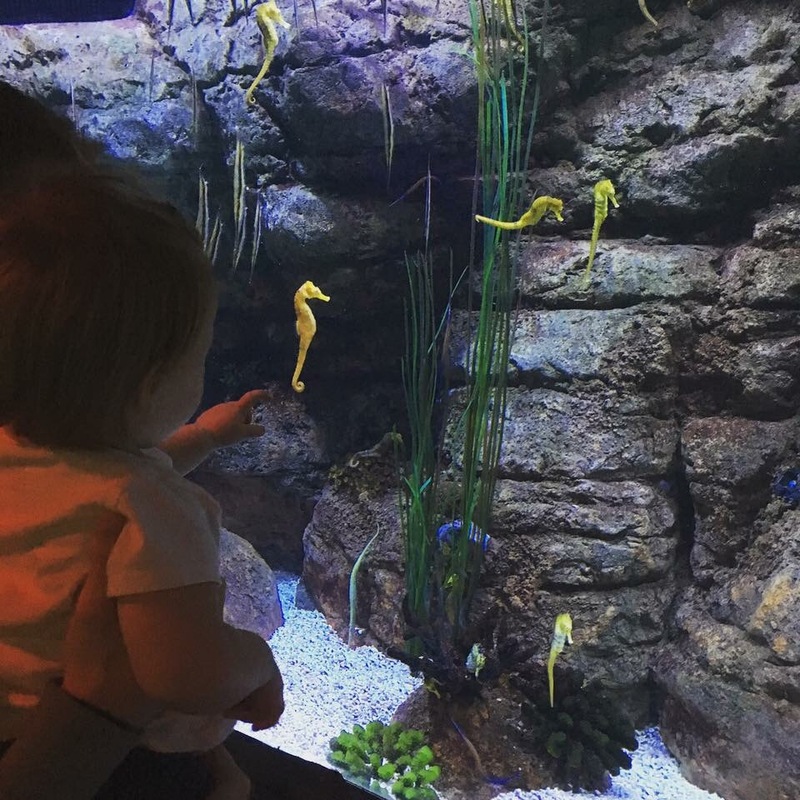 Edie was oooing and aaaahing at all the fishies and had wonderfully wide eyes the whole time. 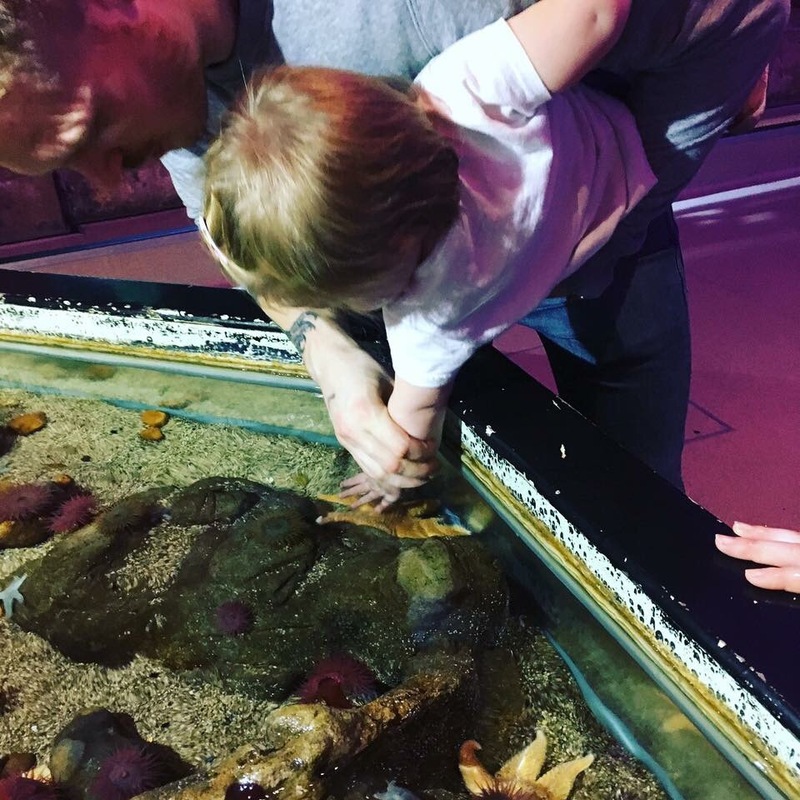 As a bit of a lover for sensory experiences and activities, The Sealife Centre offered a lot without risking sensory overload. The dim lights, no additional music or sounds and comfortable temperature, also make it a very autism friendly experience. You have the option for additional experiences, such as a a ride on a glass bottom boat over the turtles and sharks, or stroking a starfish! 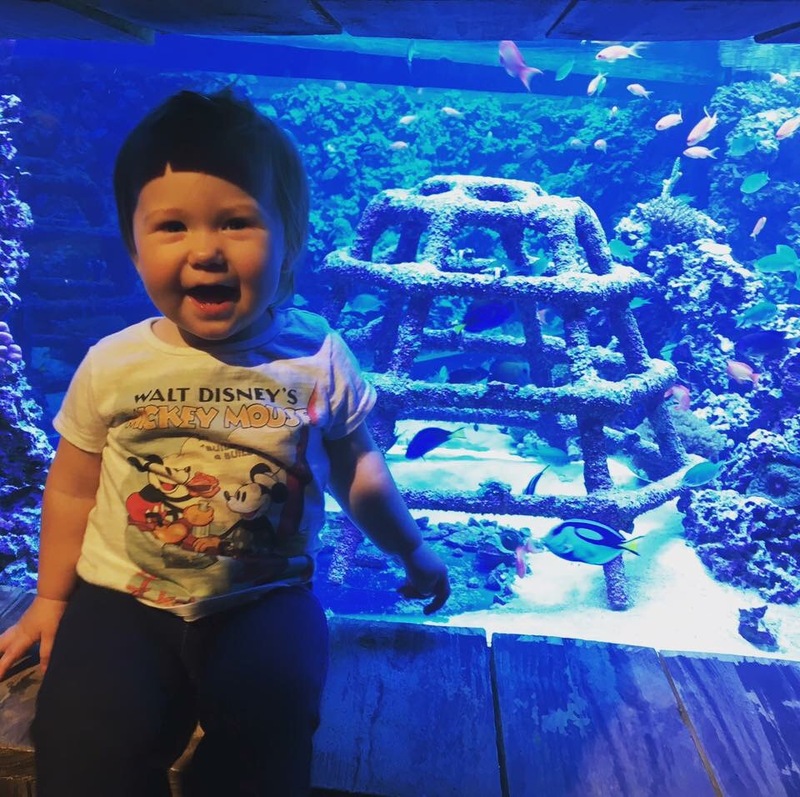 Although the experience isn’t a long one, it was a perfect amount of time when you have a toddler. After all, there is only so many times you can gawp at fish. 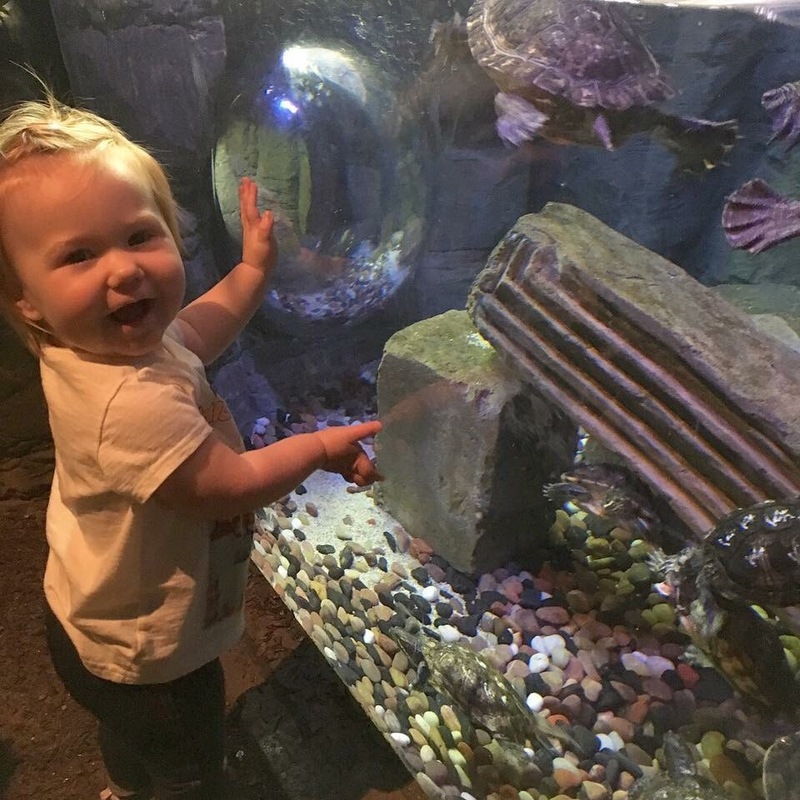 Fish actually creep me out a bit, but Edie loved it. It can be quite pricey, with an adult ticket costing £16 on the door per adult, with under 3s going free. However, there are a lot of ways to save. 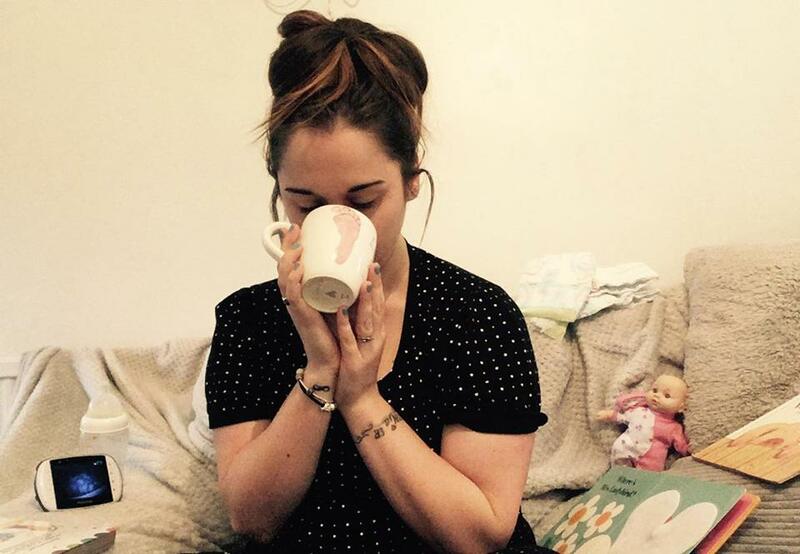 Buying online or Tesco vouchers seem to be the way to do it. I’m not sure how interested my 7 year old brother would be. 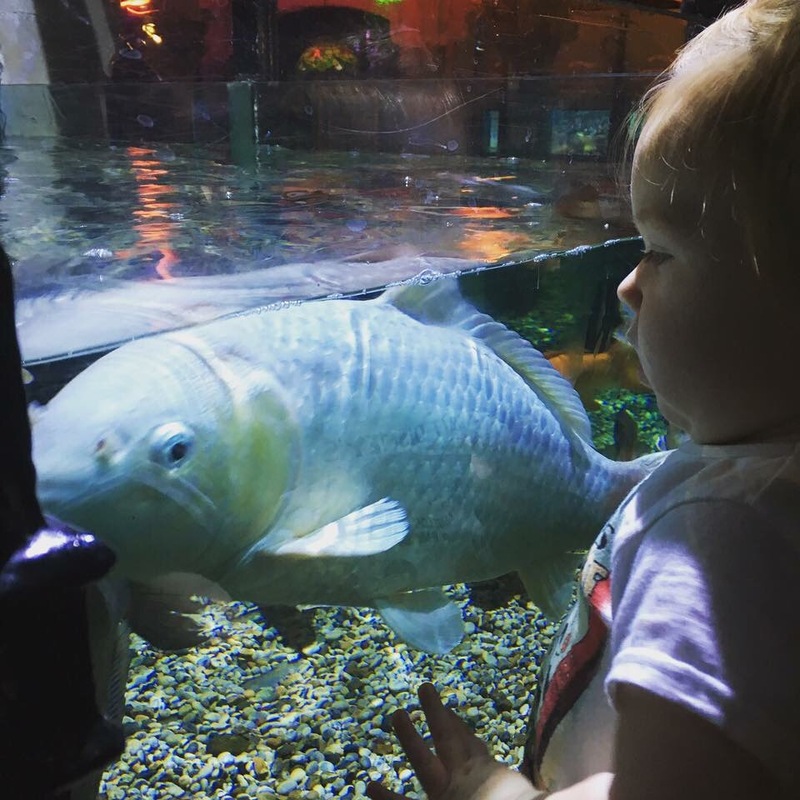 I feel for him, it would be “if I’ve seen one fish, I’ve seen them all!” But Edie was at a great age to take in her surroundings, looking at everything for the first time in awe. 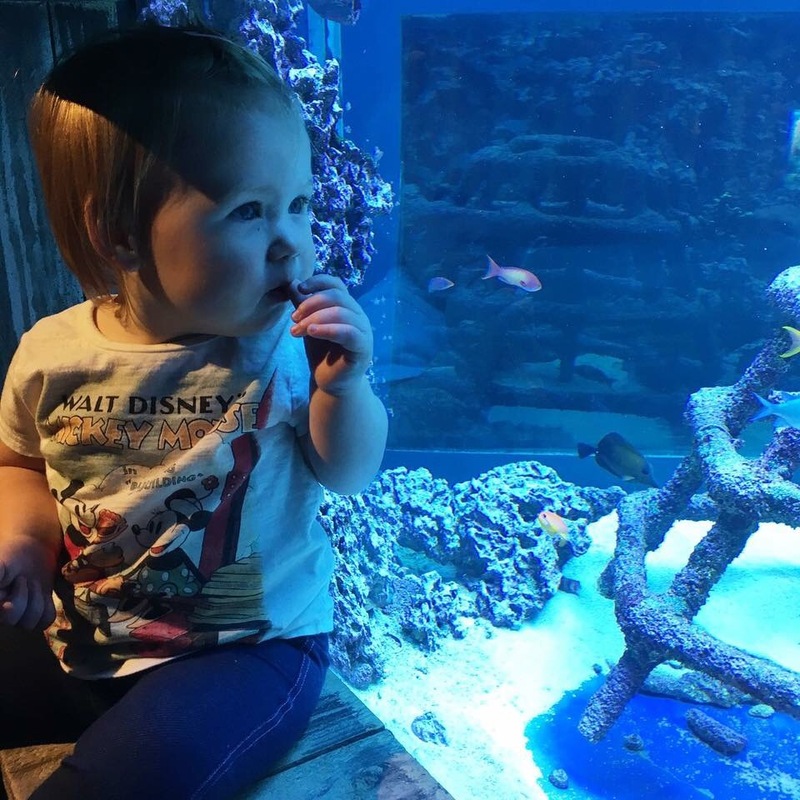 Usually, I feel the experiences like this are a one time deal with kids, however, I feel like Edie would love to go again! I’d happily take her again when she’s older, so she’ll get a new experience from it where she understands more. 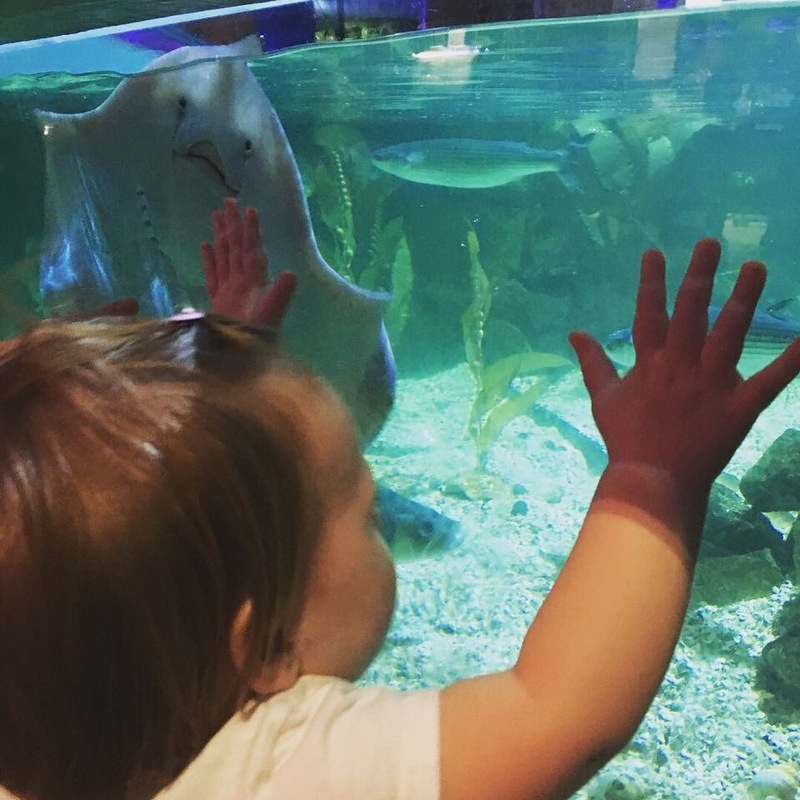 If you’ve been on a toddler friendly day out, please let me know! Previous Post Halloween Messy Play!